By buying this product you can collect up to 13 loyalty points. Your cart will total 13 points that can be converted into a voucher of Rs. 1.30. 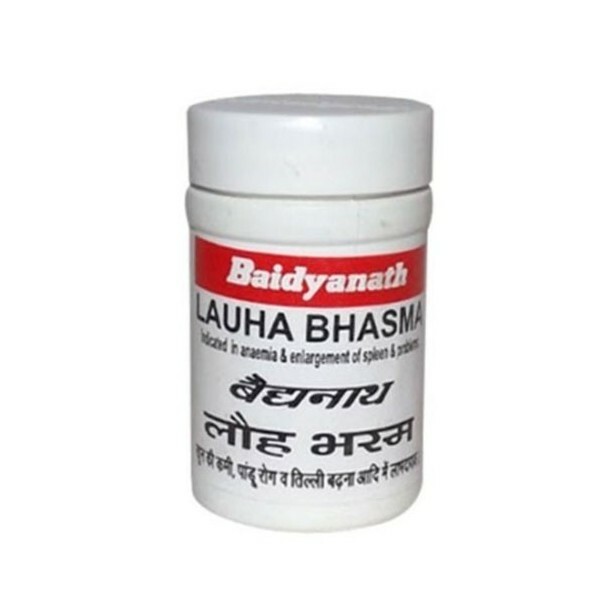 Baidyanath LOHA BHASMA SHATPUTI is useful For Iron Deficiency, Anemia, Improves Immunity, Strength and Memory, Weakness. Loha Bhasma (Magnetic iron Calx) is an ayurvedic mineral-based medicine prepared from iron oxide. It is therapeutically useful in cases of iron deficiency anemia, jaundice, irritable bowel syndrome and hemolytic anemia. Loha Bhasma has following healing properties. Loha Bhasma is useful in following diseases. Generally, Loha Bhasma iron compound used for anemia. Its bioavailability is higher than any other iron supplement. It promotes red blood cells formation. Due to iron-based medicine, Loha Bhasma helps to compensate the iron requirement of the body. It does also improve the absorption of iron in the intestines to blood. It also reduces anemia symptoms such as extreme fatigue, weakness, pale skin, and shortness of breath, headache, lightheadedness, tongue sores, cold hands or feet, palpitation, brittle nails etc. It improves appetite and reduces the craving for non-nutritious things like clay, earth or dirt. Hemolytic anemia is an abnormal breakdown of red blood cells.It has two types based on causes. 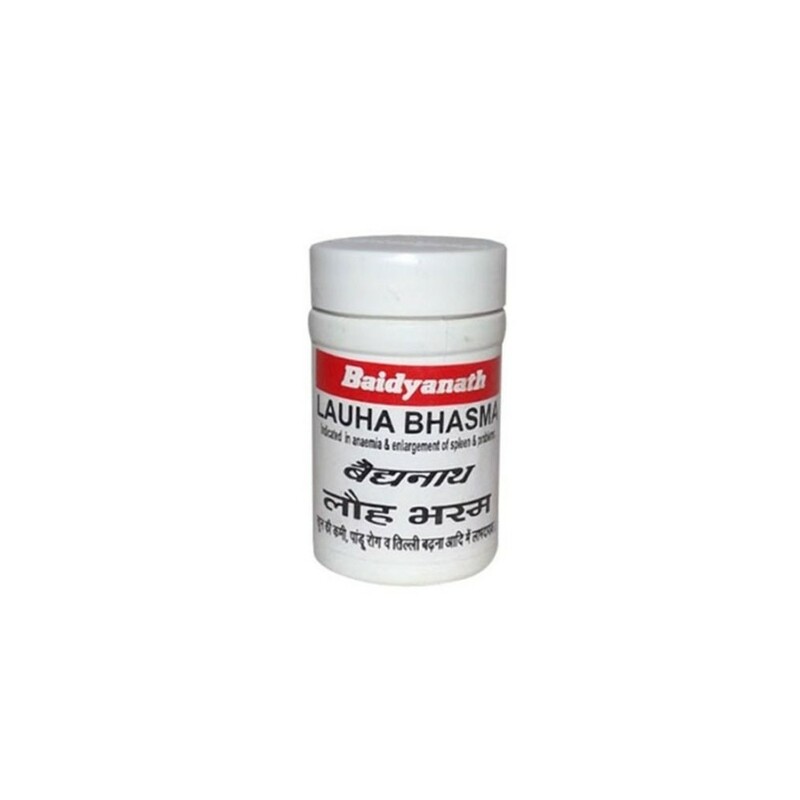 lauha bhasma works well in case of acquired hemolytic anemia. However, it may be used in cases of hereditary or inherited hemolytic anemia (including thalassemia and sickle cell disease). In ayurveda, iron supplements are also used to treat jaundice. Kanta Loha Bhasma helps lowering bilirubin levels in the blood and supports liver functions. 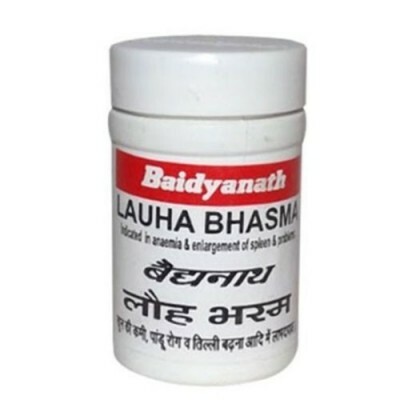 Loha Bhasma is a good remedy for irritable bowel syndrome with constipation. It cures constipation and reduces stomach upset and discomfort. It is also used in arthritis, diabetes and chronic fevers. The dosage of Loha Bhasma is about 50 mg to 250 mg twice a day. Loha Bhasma dosage should not exceed from 500 mg per day. It is to be avoided in children and pregnant and lactating mothers. Overdosage may cause many side effects including gastritis.